I am converting a Double Decker bus into a mobile catering unit. The kitchen is on the top deck of the bus at the front. I have a Gas double tank fryer, a salamander grill and a gas griddle all operating from gas. I have had various confusing answers in regards to ventilation. Do I need a hood covering ALL the gas equipment or is this ONLY necessary to cover the fryer? I have a large window which opens fully right next to the fryer, and also have installed an Xpelair GXC9 extraction fan which extracts air at a rate of 153 l/s. However do I need a hood by legal requirements? The purpose of a canopy is to effectively remove the products of combustion, heat, steam and oil vapour from the atmosphere to ensure a safe and comfortable environment for catering workers. The canopy must overhang the appliances in order to achieve this. 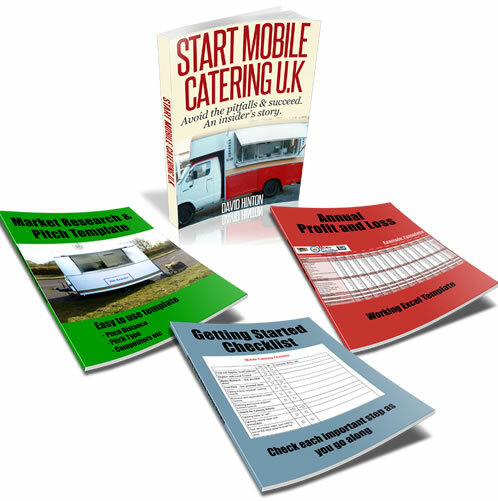 The standard for mobile catering states that fryers need to be under a canopy, the wider catering standards for non mobile catering state all appliances must be under a canopy. The final decision should be made based upon the load placed on the canopy (type and quantity of food being produced), not on least cost. The ventilation requirement for mobile catering vehicles is 25cms2/kw divided equally between high and low level, the specification is that the ventilation is fixed and permanent - an openable window is not suitable and would be classed as 'at risk' by any inspecting engineer, which would severely limit your choices of events. Mechanical ventilation must be interlocked, meaning if you rely on fans for ventilation, they must have a supervision device that will not allow you to use the gas until the fan has proved as working. A note of caution, most caterers using classic vehicles trailer them to events due to reliability issues. These vehicles and airstream caravans pose challenges when installing equipment due to low, curved roofs and construction unsuited to having large hole formed for ventilation. Route master buses I have worked with have kitchens downstairs for stability (important where friers are concerned), access to stock, fridges, washing up areas which can be built off the rear etc and ease of installing. The larger seating area above also presents the opportunity of greater seating capacity. Please ensure you consult and use a properly qualified engineer to avoid costly mistakes. It sounds an interesting project, the issues are easily overcome, let me know if I can be of further assistance.